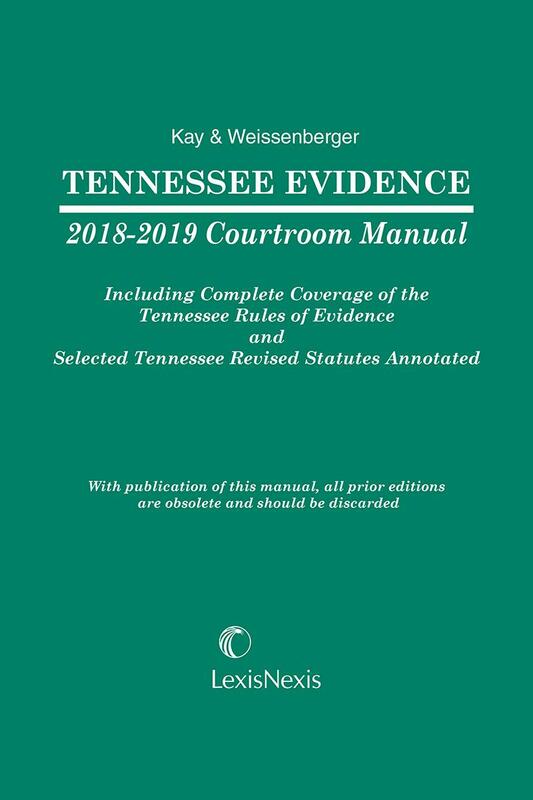 This convenient softcover manual includes the Tennessee Rules of Evidence together with analysis and case notes. 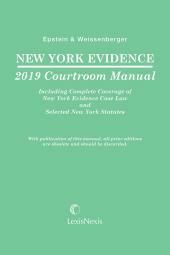 It is designed to provide fast, accurate answers to evidentiary questions. 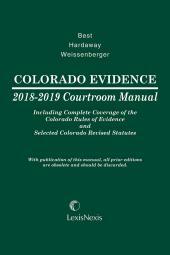 Written by Professor Susan L. Kay of Vanderbilt University Law School and Professor Glen Weissenberger of DePaul University College of Law, leading evidence scholars, Tennessee Evidence Courtroom Manual aids the practitioner and judge alike in understanding the operation and application of the rules of evidence that recur during the course of trials and hearings. Susan L. Kay, Associate Dean for Clinical Affairs at Vanderbilt University Law School, has headed the law school's clinical and experiential legal education program since 2001, having joined the clinical faculty in 1980. In addition to teaching in the Criminal Practice Clinic, Professor Kay supervises the Trial Advocacy courses, and teaches courses on Professional Responsibility, Criminal Law, Evidence and Externships. She is active in many professional and service activities and currently serves as immediate-past president of the Clinical Legal Education Association, a national association that represents more than 600 law faculty. Within the clinic, Professor Kay has conducted major public law litigation concerning jail overcrowding, inmates¿ rights and juvenile justice. 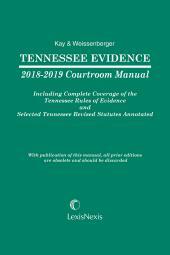 In 2007, Professor Kay completed an assignment as a court-appointed monitor in federal litigation challenging the state¿s compliance with its responsibilities to children enrolled in the TennCare program. 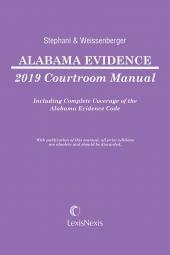 During 2005, Professor Kay served as co-reporter with Professor Emeritus Don Hall on the Tennessee Bar Association - Criminal Justice Section's study of effectiveness of counsel in death penalty cases. Recently, Professor Kay has been appointed by the Board of the Law School Admissions Council to chair a newly-created task-force on accommodations for test-takers with disabilities.